Coomee Fochier Luggage Set is made of three pieces of expandable hardshell suitcases with a modern design and a sturdy construction. 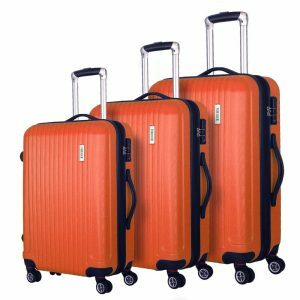 They are great hardshell luggages with good looks and sturdy build, at a great price. On this model you have two color options to choose from, orange and sky blue. Please note that the sky blue color is a light blue that is a bit like turquoise without any green tint. This Coomee Luggage Set scores an impressive 5 out of 5 stars by 9 customers at the time of this product review. The three pieces are 20” cabin bag, 24” medium size and 28” upright suitcases that are created for international and domestic air travel. Comee Suitcases have the TSA compatible locks for you to have a peace of mind that only the staff at the airport will unlock your bags for inspection without breaking the locks. 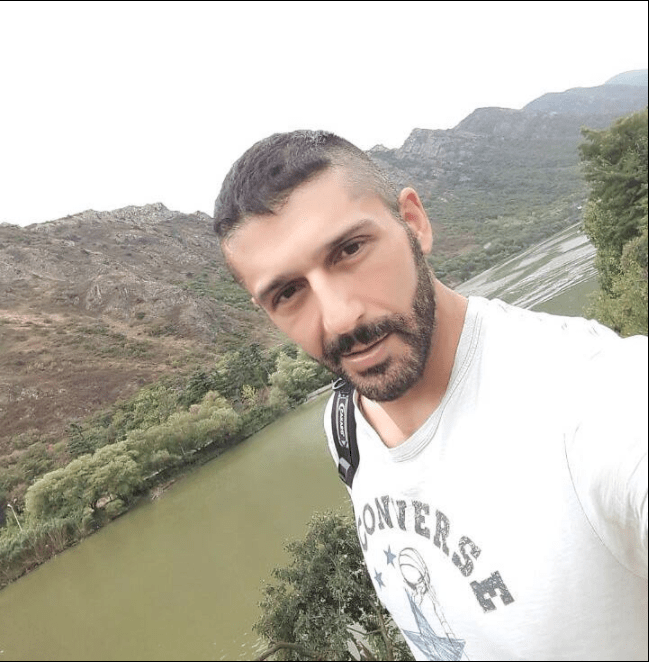 They are made of robust and durable, yet rather lightweight ABS plastic and you can pack up more of your clothes and other items without exceeding the luggage weight restrictions. They are resistant to impact and the textured finish can successfully put up with the tough conditions. Each one being expandable by twenty percent you can fit in more of your belongings and carry more items on your travels. They have the four quiet and smooth spinner roller wheels that move 360 degrees effortlessly- they can be maneuvered easily without making any noise. There is a zipper in the middle all around the suitcase that you can unzip for expanding it to be able to pack more stuff in. All the three bags fit inside each other, and you’ll get the small in medium and medium in large suitcase. You may store them this way when you’re not traveling- when they are not in use. The 20” cabin bag weighs 6.2 pounds, has a 36 liter capacity (45L as expanded) and measures 14 x 9 x 22 inches including the wheels. The medium size 24” bag weighs 7.9 pounds, has a 56 liter capacity (68L when expanded) and measures 16 x 10 x 26 inches. The largest 28” suitcase weighs 9.7 pounds, has a 97-liter capacity (112L as expanded) and measures 19 x 12 x 30 inches. Both the 24” and the 28” should be checked in at the counter before going through the security check and boarding your flight. 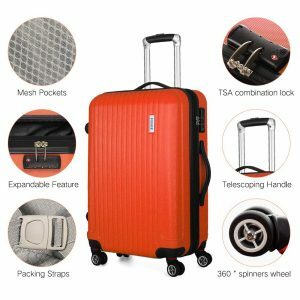 We like the weight and the size of each suitcase with the interior capacity and spaciousness, durable construction, the modern design, beautiful colors, user-friendly features, 360-degree spinner wheels, ease of storage, textured surface and a reasonable price tag for the set. Those that are not familiar with the 4-wheel spinner system will find it so much easier to use than the regular two-wheel system. The Coomee Luggage Set is shipped quite swiftly via Amazon.com and you should get it within a few days. And you may contact Amazon customer support team for any issues during the transport via Amazon.com. You’ll also get a warranty of two years by Fochier and you can email the Coomee customer support team on coomee.servicee@fochier.com in case of problems, attaching the broken suitcase’s photo and your Amazon order number to benefit from this warranty. It appears to be great value for money overall.